Ecuador offers a spectacular variety of landscapes in a very small territory. You can find bustling beaches, tropical forests, active volcanoes, colonial cities, traditional markets and even the famous Galapagos Islands. It’s a country of contrasts, with a strong Andean culture. 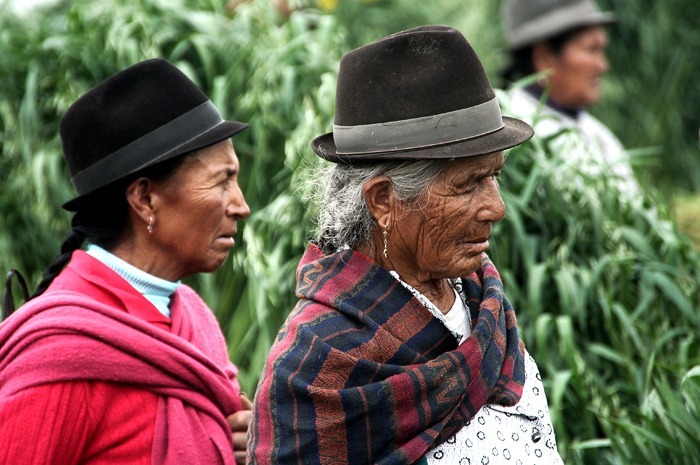 In some rural areas, people still make beautiful hats, buy food in colorful markets, wear traditional dresses and speak Quichua. Mountains rise over the horizon, kids smile at you, and huge volcanoes show green lagoons and smoking craters … Welcome to Ecuador!!! 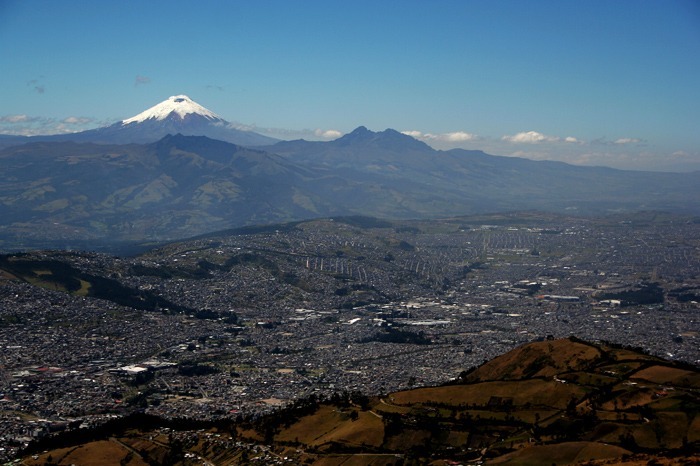 The beautiful city of Quito embodies the essence of the country. Markets, colorful streets, colonial churches and cathedrals are found along a valley surrounded by active volcanoes. Do not miss the climb to Rucu Pichincha so you can enjoy the best views of the city, with the great Cotopaxi in the background. 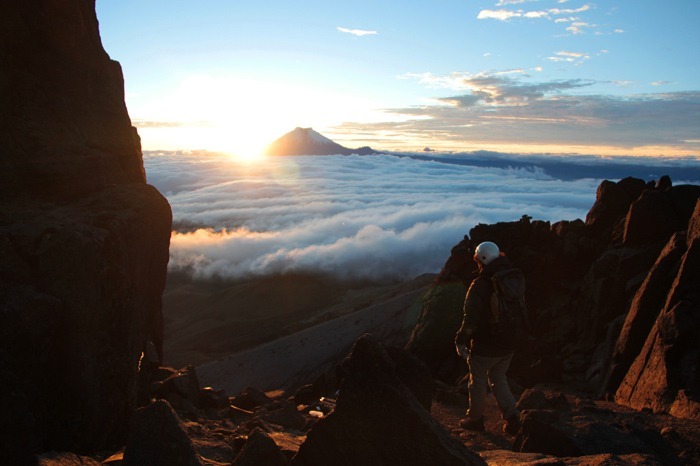 Complete the two-day hike up to the Iliniza Norte, at 5,126 meters high. This route is perfect as acclimatization for the climb to the Cotopaxi volcano; at dawn it offers great views of the nearby mountains. Go up to the Refuge at 4,800 meters and visit this legendary perfect cone volcano. 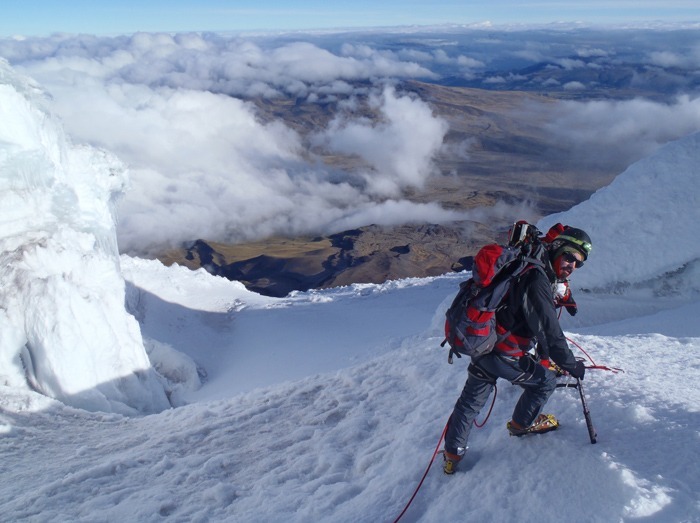 The more adventurous can climb to the summit of Cotopaxi (almost 6,000 meters), which is completed in two days. The experience and the views are priceless! 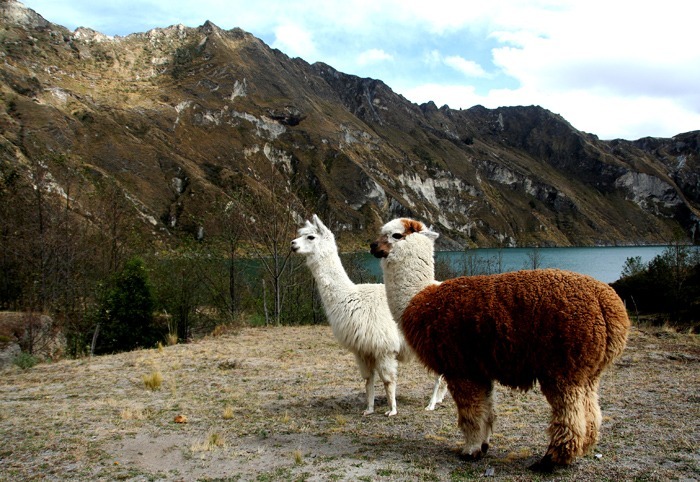 The Quilotoa loop trek has become one of the most popular hikes among backpackers. 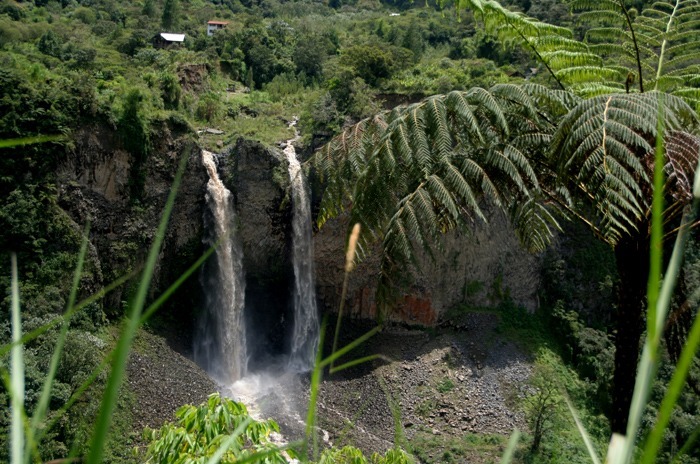 The route takes you through villages and rural areas before you reach the crater of a volcano where a large green lagoon formed. The best part of this experience is the contact with the local people, who are very friendly. You can sleep in small mountain lodges and eat cuy or other homemade specialties. The city of Baños, known as the gateway to the Amazonian region, offers a wide range of adventure activities. Dominated by the great Tungurahua volcano, Baños and its lush mountains offer bungee jumping, zip lines, rafting, canyoning and much more. I recommend that you rent a bike and explore the surroundings, visit waterfalls and get lost in the woods! To be honest, I don’t think Guayaquil is a must-see place for a trip to Ecuador. 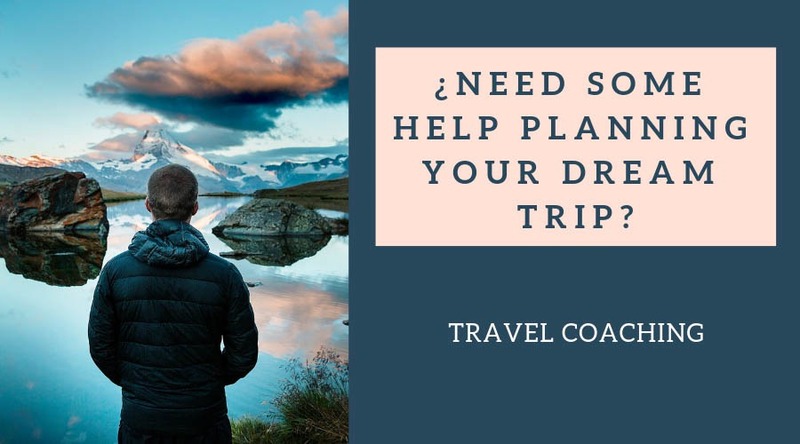 However, you’ll likely be passing through the city at some point, especially if you are visiting the southern beaches or if you intend to cross into Peru. If you decide to spend a few days in Ecuador’s most populated city, I recommend that you consider these activities: visiting the Metropolitan Cathedral, hiking to Santa Marta, walking along the Malecón 2000 or climbing the Torre del Reloj (Clock Tower). Located on the peninsula of Santa Elena, this small town is one of the most popular holiday destinations in southern Ecuador. Personally, I didn’t like it very much (okay, I didn’t like it at all). 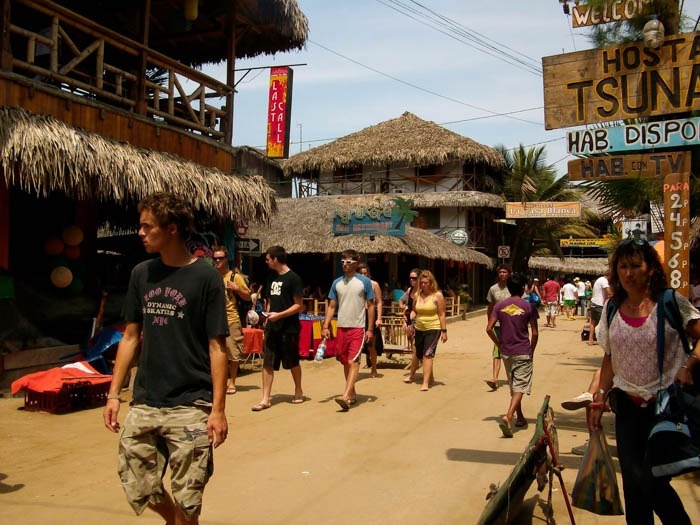 Montañita’s main ingredients are: good waves for surfing, a long beach which isn’t beautiful, expensive accommodations, vibrant nightlife, lots of hippies selling handicrafts, a really touristy atmosphere, Ecuadorians spending the weekend and gringos looking for a party. I have no problem with any of those things, but I think the place is really overrated. 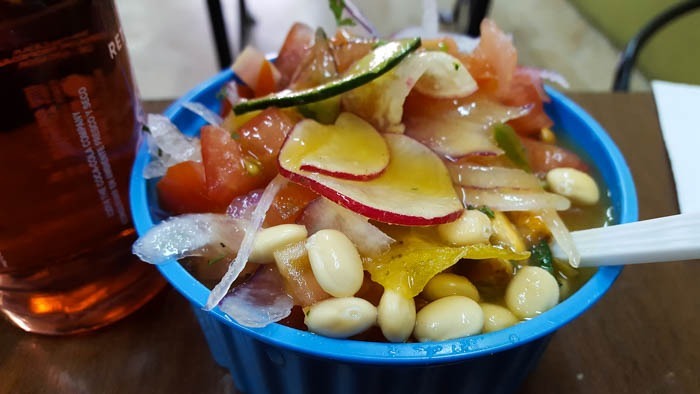 Anyway, I’ve included it on the list because some people love Montañita. Esmeraldas is the capital of Afro-Ecuadorian culture. It’s a colorful and vibrant city with lively nightlife. The Esmeraldas region offers a wide variety of activities, such as surfing, scuba diving, mangrove tours and whale watching. In addition, it’s the perfect place to learn about the local culture and try delicious Creole cuisine. 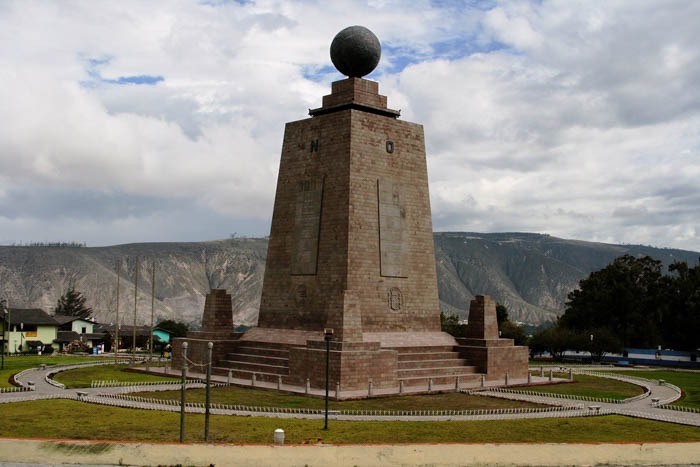 Located 26 km from Quito, the Monument to the Mitad del Mundo (which means half of the world) indicates the exact location of the equator line. The monument itself is not very beautiful, but the site is frequently visited by locals and foreigners alike. In addition to the monument, there’s a museum where you can learn about Ecuador’s indigenous ethnography. Although Baños is known as the gateway to the Amazon, it is in Puyo where you’ll find more options for exploring the jungle. Puyo is a quite ugly city, so I don’t think you’ll want to stay there too long. 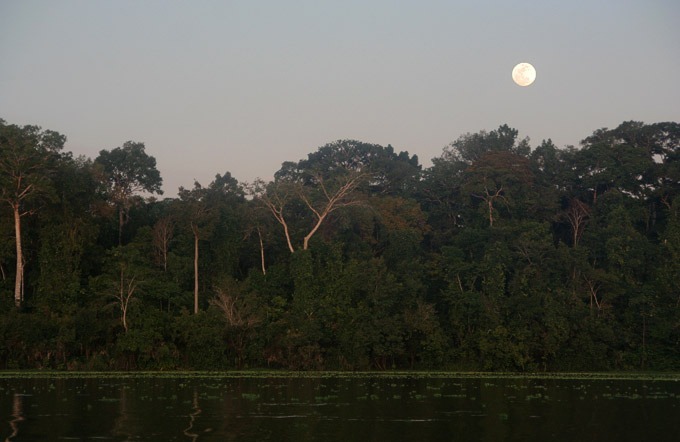 However, it’s a good place to hire a jungle tour, as well as an important access point to other Amazonian regions. Located in the Ecuadorian highlands and surrounded by tropical jungle, Mindo is the perfect place to forget about stress and get in touch with nature. Among the most popular activities are: hiking in the mountains, visiting nearby waterfalls, horseback riding, tubing along the Mindo River and zip-lining over the forest. 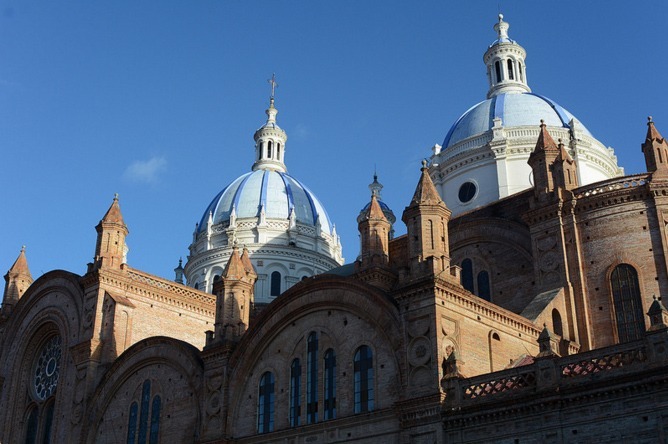 Cuenca has been a UNESCO World Heritage Site since 1999, with amazing architecture and 52 beautiful churches scattered throughout the streets. They built one for every Sunday of the year! Although the streets are full of colonial history, this was one of the largest pre-Hispanic settlements of the Incas. Cuenca Museum exhibits a wide variety of Inca and Cañari objects that you can admire. 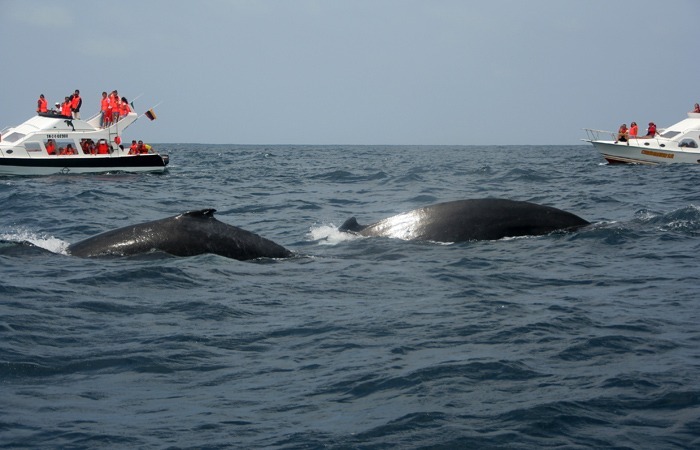 Visit the tropical coast of Ecuador to spot the huge humpback whales. With a little luck you will see how some of the big ones jump over the water! Whale season in Puerto Lopez runs from June to September. The famous islands of Darwin’s theory of evolution are a dream destination for biologists, travelers, divers and nature lovers. Keep in mind that it’s not a cheap destination since you can get there only by plane and you have to pay an expensive conservation fee. There are local boats between some islands that may be an alternative to the expensive cruises. With over 600 km of coastline, Ecuador has beaches for everyone’s tastes. The favorite spots for surf lovers are Monpiche, Montañita, Ayampe, Canoa and San Mateo. Some beaches have small waves that are perfect for beginners, while other beaches have bigger waves that are great for those with more experience. In addition to these beaches, you’ll find many other perfect surfing spots in the Galapagos Islands. For those who want to explore the underwater world, Ecuador offers some of the best diving sites on the planet. 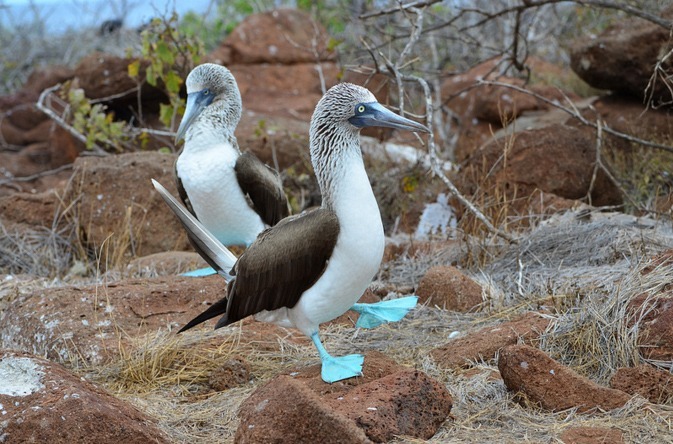 The most famous spots are in the Galapagos Islands. 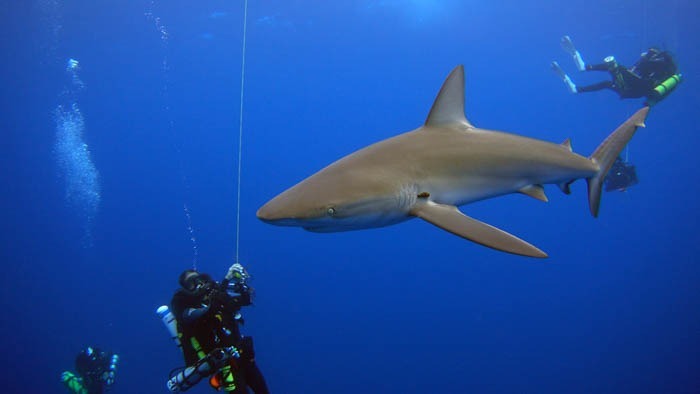 If you go diving in the Galapagos, you’ll have the chance to see sharks (including hammerhead and whale sharks), sea lions, turtles, etc. 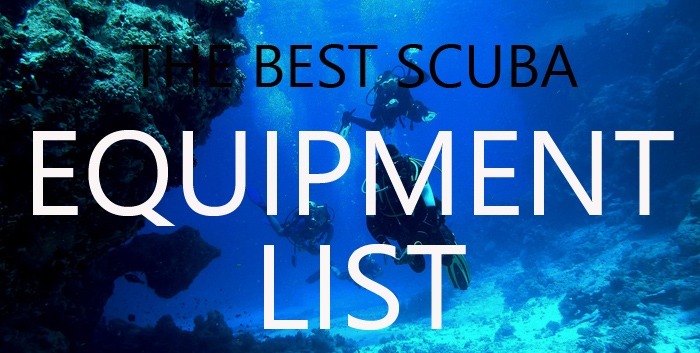 Most dive centers will take only advanced divers to certain sites because strong currents are common around the islands. The continental coast has good diving spots too, especially in the Manabí region. 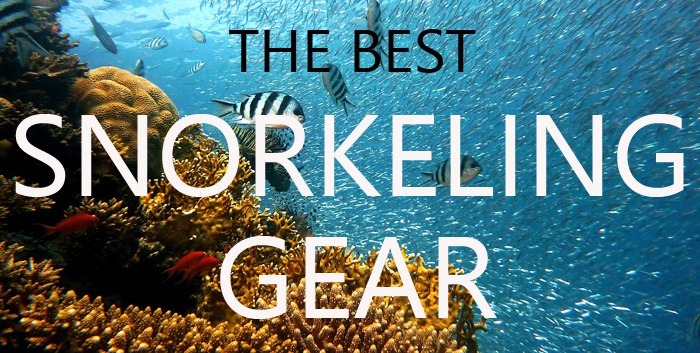 In Puerto Lopez, for instance, you’ll find many diving centers. 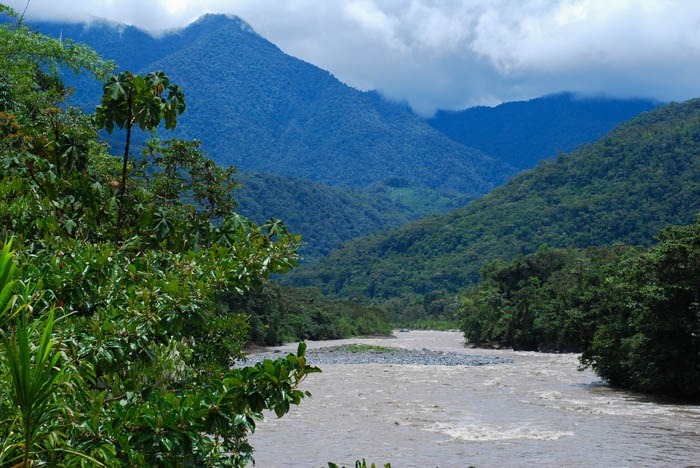 With 120,000 km2 of tropical rain forest, the Ecuadorian Amazon offers thousands of options for the most adventurous. 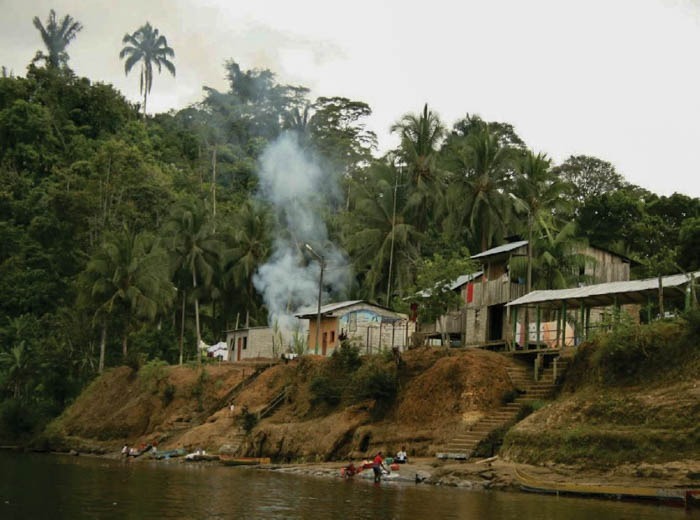 The region’s main activities are oil extraction, mining and agriculture. However, there are several places where hard work is being done to boost tourism. 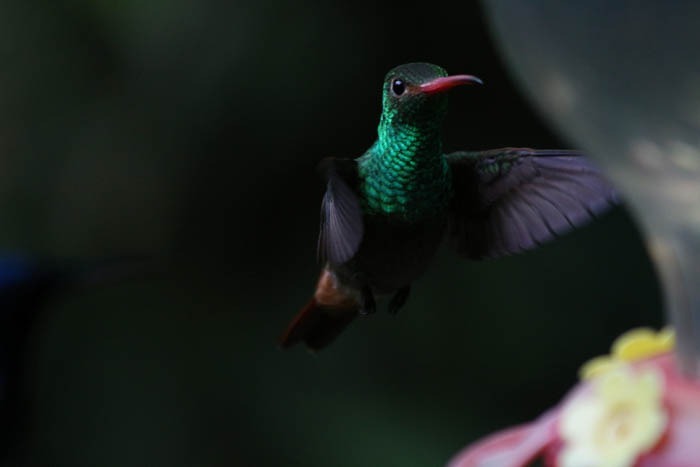 I suggest that you visit Yasuní National Park, which is considered the most biodiverse place on earth due to its rich variety of amphibians, birds, mammals and plants. If you are traveling with a tent and want to enjoy a few days off in nature, you’ll find hundreds of great places to camp in Ecuador. The mountains near the Quilotoa Volcano, Cotopaxi National Park, the Baños region and the forests around Mindo are a few examples. Take appropriate precautions, don’t make a fire, collect all your garbage and enjoy the outdoors. 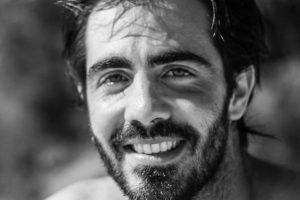 Ecuadorians speak a fairly slow and easy-to-understand form of Spanish, perfect for those who are taking their first steps in the language of Cervantes. You’ll find several Spanish schools in the country, especially in touristy destinations such as Quito, Montañita and Baños. The main ingredient of Ecuador’s most popular dish is the cuy, a rodent mammal that lives in the country’s Andean regions. The most popular way to serve it is roasted with potatoes, although there are other ways to prepare it. If you want to try a good guinea pig, go to the mountain region, where they know the little secrets behind its preparation. The Sucre was Ecuador’s currency until 2000. After the economic crisis that year, the government adopted the American dollar as the official currency. The bills are exactly the same as the dollars used in the United States. If you have American dollars, you don’t have to change your money. If you bring euros, you can go to an exchange house and easily change them to dollars. As for coins, you will see that they have different symbols than American cents, but in Ecuador they have the same value. Ecuador has a pretty friendly visa policy for most nationalities. All visitors must bring a valid passport, except for citizens of Peru and Colombia, who can enter with their National Identity Card. Citizens of the USA, the European Union and large parts of Latin America do not need a visa for stays shorter than 90 days. If you intend to stay longer than 90 days (without staying longer than 180 days a year), you will need a visa. A few Latin American countries don’t enjoy the same privileges. If you are from Mexico, Cuba, Honduras or Costa Rica, you’ll need a visa to enter the country. Keep in mind that regardless of your nationality, you might be asked to show an outgoing plane ticket. They don’t do it very often, but in theory it’s a requirement to enter Ecuador. Ecuador is a fairly cheap country for the backpacker traveler. 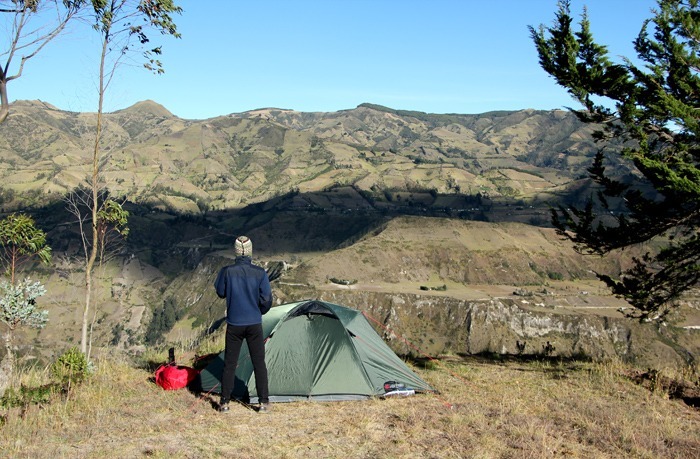 In the Andean region, you will find lots of cheap places to sleep and eat. Accommodation in Quito and on the coast tends to be more expensive. Transportation is also quite affordable, especially if you take the small buses that connect most cities in the country. The main exception in terms of prices is the archipelago of the Galapagos Islands. 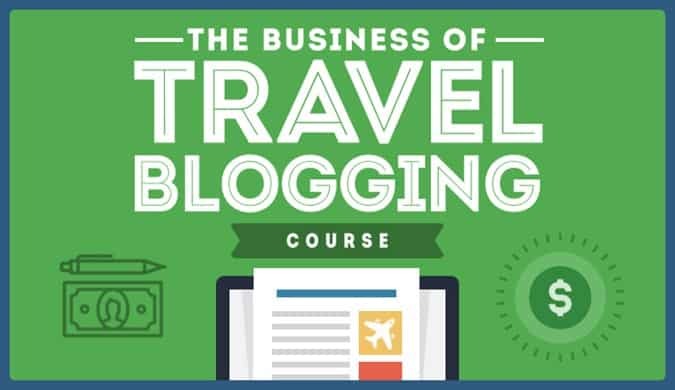 If you want to visit these islands, keep in mind that flights aren’t cheap, you’ll have to pay an entrance fee to Galapagos National Park and most services on the islands are much more expensive than they are on the continent. In general, you can visit the country for less than $ 15 per day, but if you take any tour or hike to the mountains, the budget may increase up to $ 25-30 per day. Most hostels will cost you 5$-10$ for a single, double or dormitory. Quito: Discovery Quito. Simple, economic and well located. Baños: Great Hostels. Great common areas, breakfast and views. Cuenca: Hotel Check In. Affordable single, double rooms and dorms. A good option for couples and groups, with rooms and apartments at great prices. You can get now $35 of Airbnb credit if you sign up through my link! 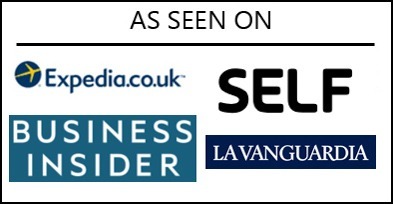 I use Skyscanner to find the best prices, comparing the cheapest flights across each month. If you want to save some money, you can download the free App now. Transportation in Ecuador is basic but relatively effective. I recommend that you take the local buses (which are more like minibuses) to travel the country. The best way to find a bus is to go to the bus terminal and ask for destinations and departure times. Depending on the destination, departures will be available every hour, twice a day, once a day, etc. The schedules are quite uncertain sometimes. As I said, just go and ask. Most Ecuadorians are pretty friendly and they will surely help you out. Ecuador is one of the most peaceful and safest countries in Latin America. 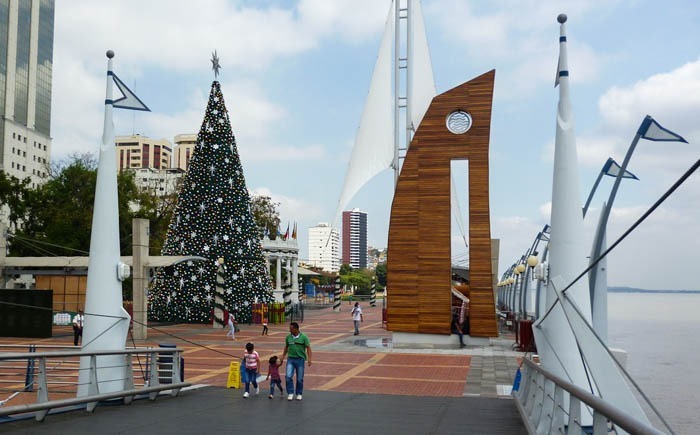 There may be some occasional incidents (robberies, assaults) in cities such as Quito or Guayaquil but that can happen in virtually any city in the world. Outside the big cities, the chances of something happening to you are very low. I always felt very safe during my visit, including the time I spent in big cities. If you plan to go hiking or climbing, beware of altitude sickness. 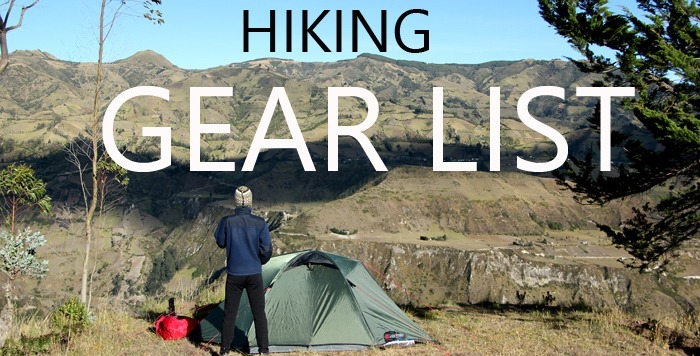 Many of Ecuador’s most popular treks, including the climb to the Cotopaxi Volcano, the Iliniza Norte trek or the easy climb to Rucu Pichincha, run over 4,000- or 5,000-meter-high trails. Progressive acclimatization is really important. Remember that altitude sickness can be very dangerous. In case of accident or illness, you will find good hospitals in some cities and basic health posts in the most remote areas. Both public and private hospitals are available, but they might charge you for their services if you don’t have health insurance. Trusted by thousand of adventurers, World Nomads is one of the best and more reliable options. It’s pretty easy to find breakfast and lunch menus for around $ 1 – $ 2.50 in local restaurants. The guinea pig or “cuy” is a typical specialty of the country and it’s pretty good! The prepare a really delicious ceviche too. Although typical Ecuadorian drinks aren’t as famous as other South American drinks, such as the Peruvian pisco sour or the Brazilian caipirinha, I suggest that you take a chance on the following drinks: The canelazo: a hot cocktail made with cinnamon and brandy. The chicha de piña: prepared by cooking pineapple rind with water, panela and spices. The colada de avena: a very typical drink prepared with oats, naranjilla, panela and cinnamon. It is possible to travel the country at any time of the year. 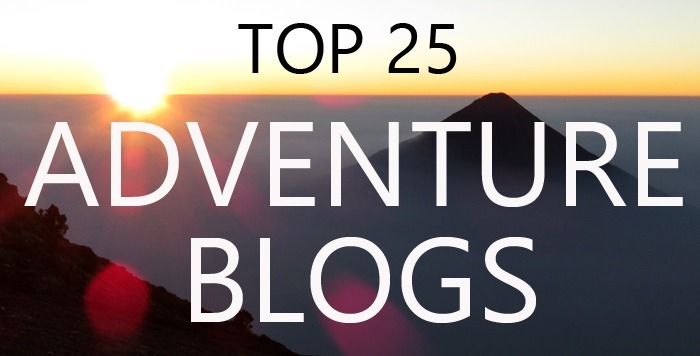 From June to September and November to February are the best seasons for hiking. If you plan to travel to the Amazon, keep in mind that the heaviest rainy season runs from December to March. Hitchhiking works pretty well in Ecuador. The local people use it quite a lot in rural areas where public transport isn’t available. Sometimes they ask for a little tip, but not always. I hitchhiked around the Quilotoa region and it turned out very well. I met nice people and they didn’t ask for anything in return. As always, common sense is necessary. Avoid hitchhiking in big cities. Up until a few years ago, Ecuador’s Internet connection wasn’t very good. However, after many efforts, the connection speed has improved considerably. Unfortunately, that doesn’t mean you’ll find a connection everywhere. 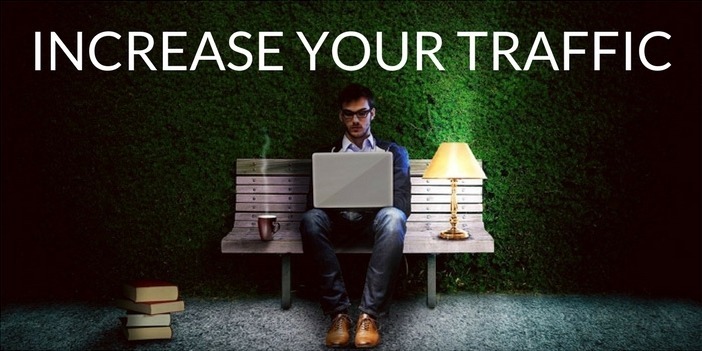 In large cities, high-speed Wi-Fi is available in many hostels, restaurants and other establishments. On the other hand, many rural areas do not have access to these technologies. Spanish is the mother tongue of most of the Ecuadorian population (93% of the inhabitants). Three dialects of Spanish are spoken based on region: Equatorial Spanish, which is spoken on the coast; Andean Spanish, which is spoken in the mountains; and Amazonian Spanish, which is obviously spoken in the Amazon region. In addition, each province has many idioms and slang words. Quichua, which belongs to the Quechua family, is the second most spoken language in the country. It’s used in the Oriente area and in the Ecuadorian highlands, especially in rural mountain areas. In addition, Quichua is spoken in some regions of the neighboring countries of Peru and Colombia. 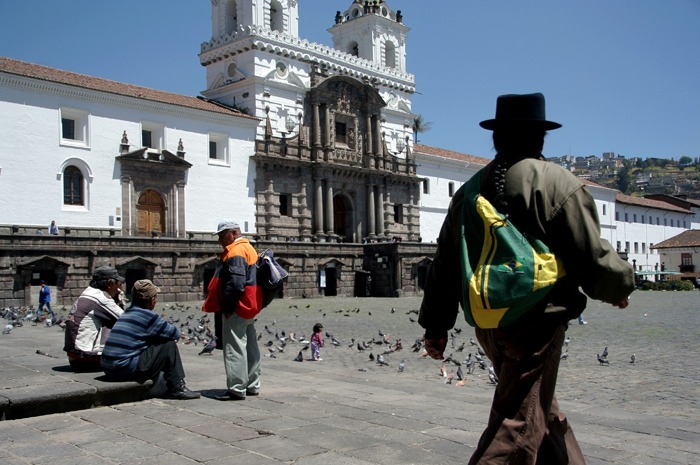 Ecuador is a multi-ethnic and pluricultural nation of more than 16 million inhabitants. The country’s different cultures are related to the ethnic and historical diversity of each region. Ecuador has mestizos, indigenous people, Afro-Ecuadorians and white people, each contributing their share of culture to the nation. Although most Ecuadorians consider themselves mestizos, there are also 18 recognized indigenous nationalities and 14 native peoples who maintain their own traditions and worldviews. Eighty percent of the population is Catholic, 11% are evangelicals and 8% belong to other religions. Given that most of the population is Catholic, there are many Catholic celebrations throughout the year. Some indigenous peoples maintain their pre-Columbian worldview, which is sometimes syncretized with Catholicism. 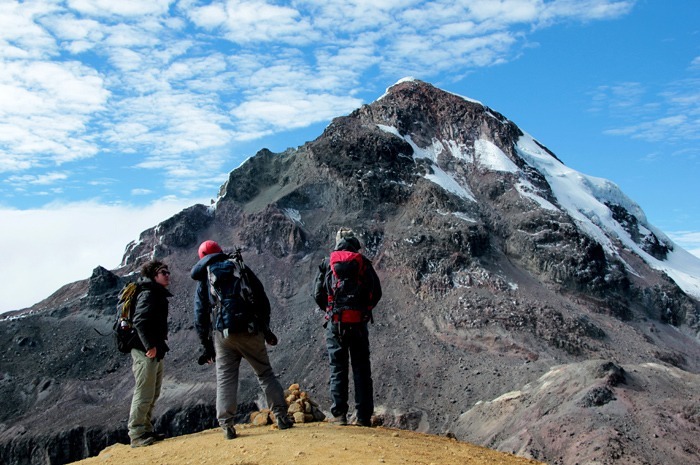 If you are thinking about climbing a volcano like Iliniza Norte or Cotopaxi, you should plan a good acclimatization program that may take several days or even weeks. Visiting Puerto Lopez during the whale season can be very interesting, but in my opinion Ecuador is not a country of great beaches. I personally wouldn’t devote much time to the coast. The famous white Panama hats are actually from Ecuador! The original ones were first tailored here and Panama copied them later. You can find a variety of these stylish hats in many shops all over Ecuador. 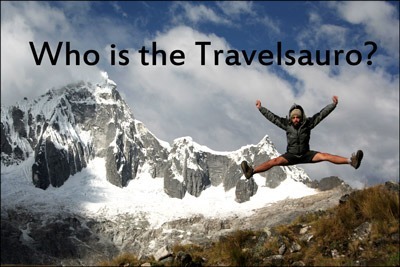 Do you have any question about Backpacking Ecuador? Please conctact me! Cotopaxi National Park seems like such a fun trip. It would be fun to go on a hiking trip that takes days. That way, you can just focus on nature the whole time. I think more people need to get outside and enjoy the outdoors! I can also recommend Playa Santa Marianita. Very large beach with a traditional fishing village. Very quiet but also very windy for kitesurfing. I stayed there for 2 months and I loved to relax there. Not a party place but a kind of area where you can relax and find yourself.